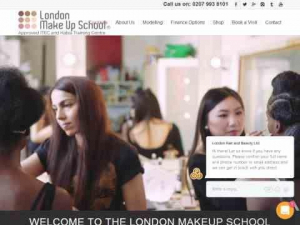 London Beauty School is one of the leading schools in the industry and it is in touch with the market. We are a progressive school with the most up to date training. Our syllabus implements this - taught by professional beauty therapists in touch with the market and their influential attention to detail. Our fresh and creative teaching methods - taught by industry professionals - developed from the need for a technically specific and practical syllabus, and is structured in a way to develop your style for your whole career.